Humorously plays with the idea of a an evening bag, or night bag. Solid medium-toned wood box purse screen printed in black. 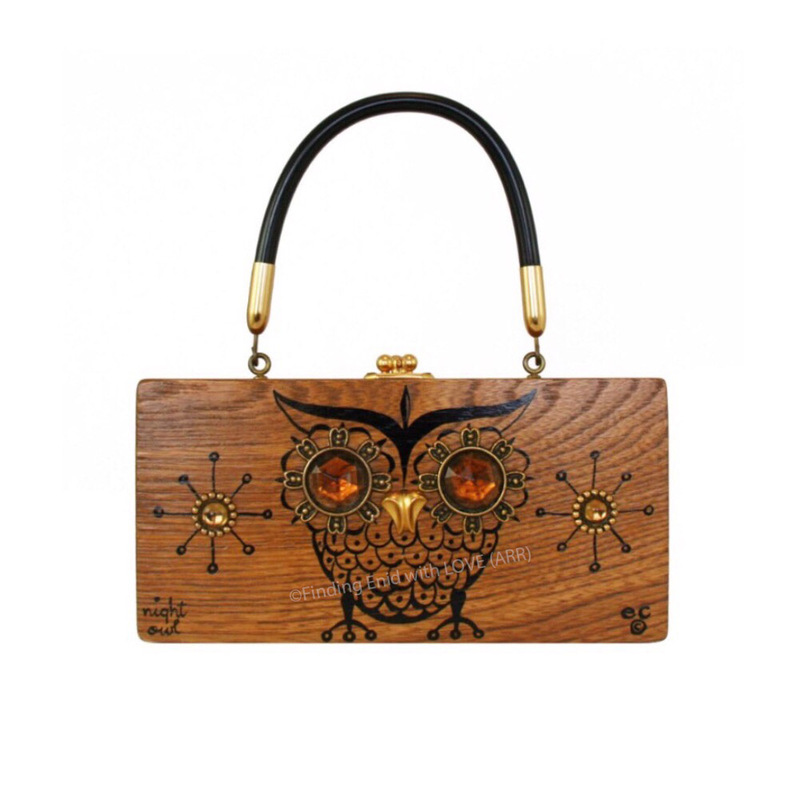 Features a stylized owl with feather details flanked by two line-art-style starbursts. Eyes decorated with large faux amber gems surrounded by antique-gold acrylic embellishments. Beak embellished with gold appliqué. Stars' center decorated with imitation gems and gold rings. "night owl" appears in lower left corner in hand-script cursive style.